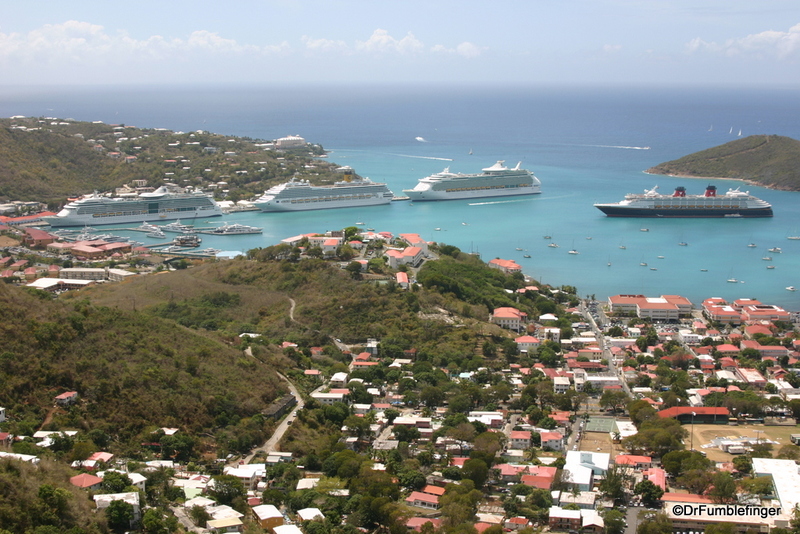 The pretty small city of Charlotte Amalie has a great natural harbor, making it a very popular destination centuries ago for the Pirates of the Caribbean (the real ones, not the Disney type). You can still find some remnants of the pirate days in the city, but today the gold in town comes from tourists. 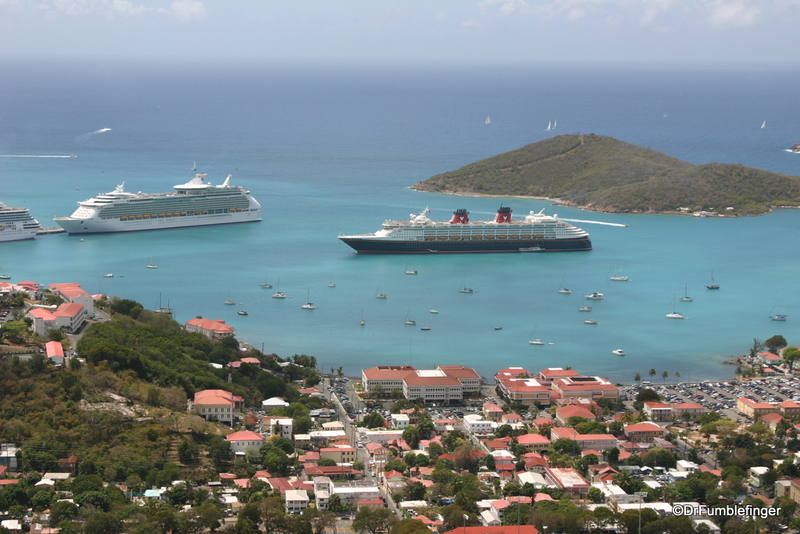 The harbor is packed with large cruise ships that flood the island with thousands of visitors every day. As night falls, the crowds return to the ships and head off, opening dock slots for new ships to repeat the process the next day.